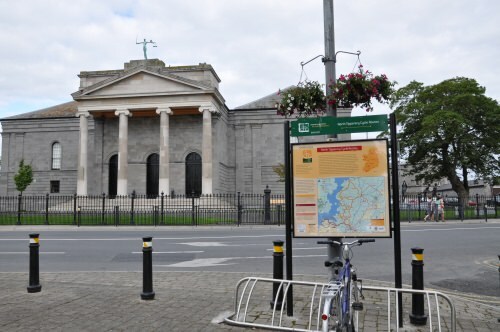 The North Tipperary Cycle Network, with the town of Nenagh as its hub offers three routes varying in distance from 11km to 67km with numerous shorter alternatives. Each cycle offers pleasant views of the local countryside while loops 1 and 2 provide stunning lakeshore panoramas. Numerous picnic stops are dotted along the route as well as a number of award winning pubs and restaurants. This loop takes the cyclist along the eastern shores of Lough Derg and through lakeside villages of Dromineer and Terryglass. Shorter journeys 1a(11km), 1b(28km) and 1c(46km) which are sign posted may be taken along this loop. This is the shortest of the three loops, and allow access to some of the more spectacular views of the lake before descending into Castlelough and on through a working farm, along a slight off-road section (suitable for all bike types) to Garrykennedy. Loop three is a relatively flat cycle visiting Cloughjordan, home of Ireland’s first eco village returning to Nenagh along quiet inland roads. A shorter journey 3a(46km) may be taken along this loop.